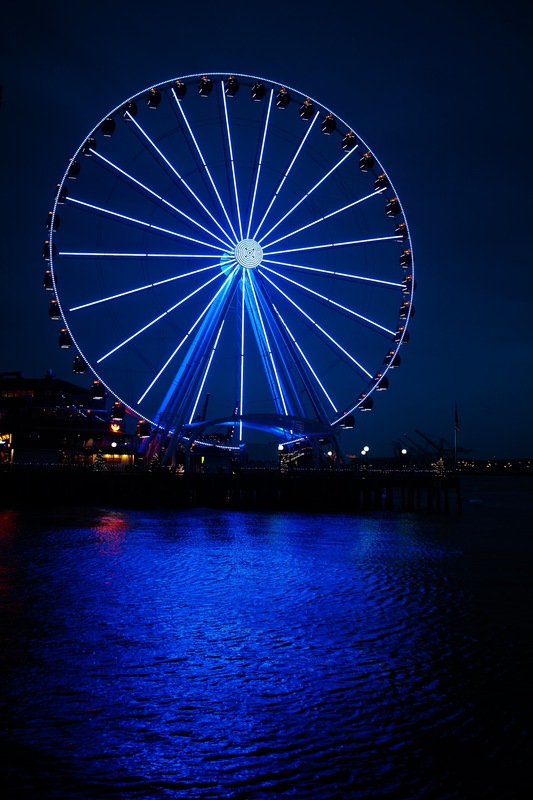 Just a long exposure shot of the Great Seattle Wheel by the waterfront, in the rain. it was a pretty awesome blue color, which looked somehow bluer in the rain I think. I think it was also blue (with some green) because of the Seahawks football game today. I say it’s their game not because I happen to live in Seattle, but for them beating the Vikings 38-7 and advancing as a “wild card” for the upcoming playoffs. Go Hawks! 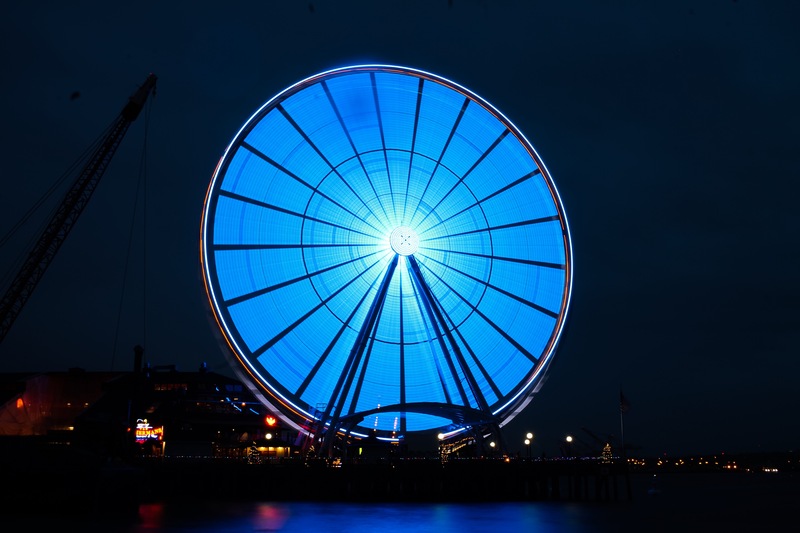 Posted on December 6, 2015 by Orion T.	This entry was posted in Photography and tagged blue, ferris wheels, light, Photography, Seattle, travel. Bookmark the permalink. Oh! oh! I love lights.